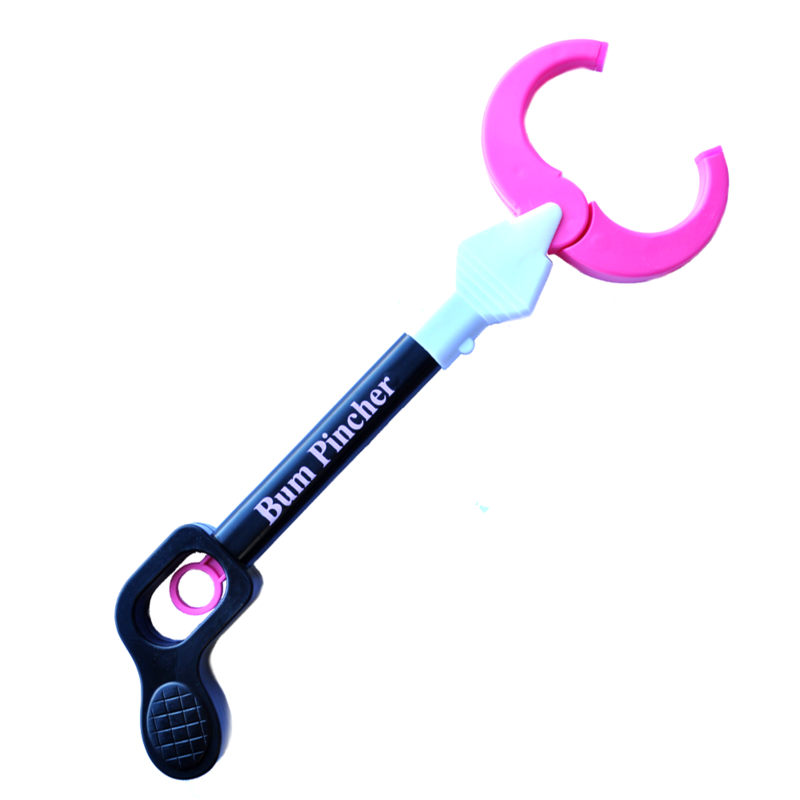 You'll have endless laughs at your hen party with this novelty bum pincher. This cheeky gadget can be incorporated into a fun game or can be given to the bride to be as a hilarious gift. It has a black handle, with an easy-pull loop trigger, and pink 'claws'. See how many bums you can pinch before the night is over... just make sure you don't get into any trouble! This accessory is great for hen parties, birthdays and girly nights out. Check out our other comedy items, such as the Willy Whistle On Necklace. Don't forget that Hen Party Superstore offers next day delivery, so you can get your perfect hen party accessories even at short notice.